Promotional items can be combined with almost any other marketing tool so small business owners can generate synergy between their resources. While it may seem easiest to pair sponsored products with social media, they can also work well with an analog channel like direct mail. Advertising with cards and letters might seem outdated, but the strategy can still be effective. As consumers are inundated with emails and social media updates, it can be difficult for companies to stand out in a digital medium. As a result, it behooves businesses to implement more traditional techniques to differentiate themselves from the competition and generate brand recognition. Read on for a look at how well unique promotional products and direct mail work together. Next to return on investment, response rate is likely the most important metric when it comes to measuring the effectiveness of a direct mail campaign. Some companies have found that adding small gifts to their mailers encourages recipients to reply in greater volumes than usual. According to MarketingSherpa, Xerox usually earns a 15 percent response rate when it uses personalized business gifts in its postal campaigns. When the enterprise doesn’t include small items, the response rate typically hovers around 5 percent. For one initiative, Xerox used “a branded boomerang with stickers that included the recipient’s name, state, and company.” This simple strategy helped the company reach out to consumers and generate new sales. Small business owners could enact a similar plan, but can go the extra mile by engraving customers’ names onto gifts instead of just using stickers. Emblazoning someone’s name on a small present like a pen or key chain can go a long way toward establishing a worthwhile relationship. By boosting response rates, businesses are improving their odds of generating significant ROI from their direct mail campaigns. Simply, the more recipients who reply and ask for further information, the more opportunities sales representatives have to close new deals. 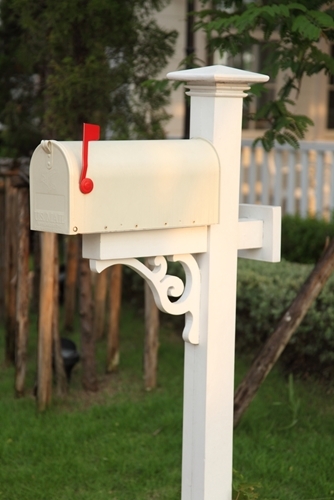 One issue with direct mail is that it doesn’t always lead to increased brand recognition. Consumers may see the advertisements, but then start reading other mail, such as bills, personal letters and magazines. As a result, they may not learn about a company’s new products or services or be aware of the new promotional campaign. Promotional products are the perfect solution to this problem as they act as small reminders of a company for extended periods of time. In a study, Promotional Products Association International found that sponsored gifts ranked number one among eight marketing channels for boosting long-term recognition. This can be a boon for small business owners whose brands aren’t that well known. Logo-emblazoned tools can ensure that customers remember a company long after they received the advertisements. Essentially, direct mail helps enterprises get their foot in the door. Owners can buy lead lists for specific markets, so recipients may never have heard of an organization prior to seeing a post card and using a promotional pen. The mailers are ambassadors that help companies gain access to a brand new customer base. Of course, there are additional methods entrepreneurs can use to further long-term recognition. For instance, company leaders can mail promotional wall calendars to leads. The gifts are functional all year long so consumers will be exposed to branded content for that entire period. Small business owners should find creative ways to combine promotional items and direct mail. The synergy generated by these two platforms can have a positive impact on sales by helping companies break into new markets and open dialogues with prospective buyers.